The candidate of Male Rhinoplasty should visit the surgeon, who will have an out-an-out examination of the patient. Once the deformities are examined, the Cosmetic surgeon will book an appointment for a certain day to resume with the surgery. During the time of the Rhinoplasty surgery, local anesthesia will be inserted, so that the patient do not feel any kind of pain. Sometimes male Nose reshaping surgery applicants come for surgery due to old injuries that has taken place during childhood. They can have a broken nose due to some kind of road accidents or mishaps. 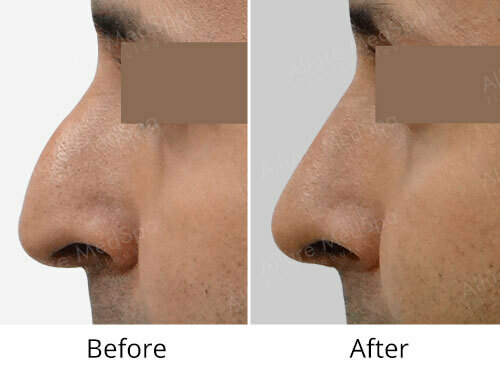 With the male Rhinoplasty process, the broken nose can be repaired. They will be able to take proper breathing now. The surgery is long term and you will enjoy a hassle free life throughout your life. The local anesthesia is inserted during the process of surgery and grafting is done. After reconstruction and grafting is done, the surgeon provides you with nasal splint to provide strong support to your newly constructed nose. Although the Rhinoplasty surgery takes only a day, time is taken for the nose to be healed completely. It requires a month to heal. One might notice some type of swelling and tenderness after the surgery in its first week. The surgeon will remove the nose splint, however for the best of results, one will have to wait for a month or so. Regular visits are also a must in the process of Rhinoplasty. One should thoroughly follow the advises of the surgeon. Ignorance can be deadly at times. Rhinoplasty is considered as one of the complicated process, care is needed for its fast recovery. An expert hand and skill is needed to perfect your nose. Dr. Milan Doshi has the perfect hand to enhance your little imperfect nose. Dr. Doshi is considered a veteran in the profession of cosmetic surgery. He has an experience of more than a decade and his expert advice will help you to heal from the wound. At Alluremedspa, the high-end machines will give you the best of service with the skills of best bunch of doctors to come for your rescue.